Thanksgiving. It’s a time for gratitude, overindulging, and spending time with the people you love. Unfortunately, the pressure to create a delectable meal is often too great. Fortunately, Thomas’s Catering offers the perfect solution: holiday catering! Here are some of the reasons catering your Thanksgiving dinner is the way to go. Everyone hates Aunt Cheryl’s gummy mashed potatoes, but no one wants to say anything. Grandma always has a passive aggressive comment about your pumpkin pie. No one can agreed who is responsible for pulling the neck out of the turkey this year. Regardless of the specifics, food can be the cause of a lot of conflict, and on a day full of family, you want to reduce chances for conflict as much as possible. 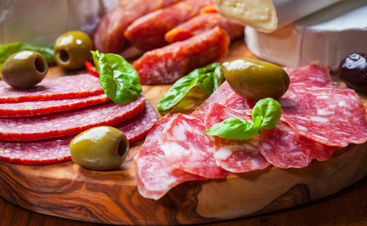 When you hire Thomas’s for holiday catering, you can rest assured that no one will have anything to fight over… when it comes to the food, at least. The greatest advantage that catering your Thanksgiving dinner offers is that it gives you more time to spend with your loved ones. You could spend the day religiously watching the turkey, mashing the potatoes, and trying to replicate your grandmother’s green bean casserole recipe while your family enjoys each other’s company. Alternatively, you could spend your time watching football, playing games, and connecting with your favorite niece. 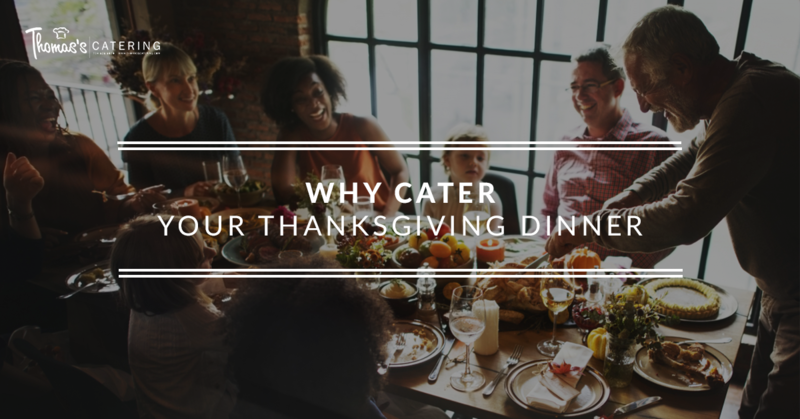 When you trust Thomas’s Catering with your Thanksgiving meal, you have the opportunity to relax and truly enjoy the meaning of the holiday: gratitude and family. The holidays bring a lot of joy, but also a lot of stress. Between Uncle Jim’s penchant for talking politics when he’s three drinks in and having to make sure the turkey doesn’t catch on fire, Thanksgiving can be a time when your blood pressure goes through the roof. While we can’t do anything about your pushy relatives, we can take cooking off your plate and put our delicious catering on it instead. Sit back, relax, and pour another glass of wine instead of rushing around the kitchen in a frenzy. We aren’t trying to say that your cooking is not up to snuff, but many of our clients choose us because we simply make delicious food. 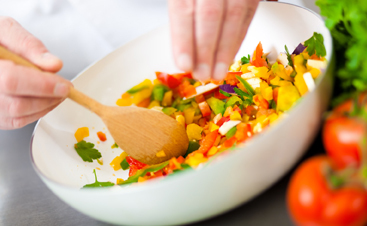 Whether you are a novice in the kitchen or you are a regular chef, you can appreciate that our catering is always tasty. That’s because we are foodies. Food is our passion, so any time we are catering an event, you can trust that we have put all the love you expect from a Thanksgiving dinner into it. Dinner is over, and with a tummy full of turkey, you are ready to curl up on the couch and fall asleep to a Christmas movie with the family. Except… there is still a sink full of dishes to attend to. There’s nothing worse than having to spend the night in the kitchen cleaning up after a day in the kitchen cooking. Why take away from the holiday like that? When you get catering from us for Thanksgiving, you don’t have to spend the evening attending to a million dishes. Instead, you can savor your dessert, relax by the fire, and slowly drift off to sleep. 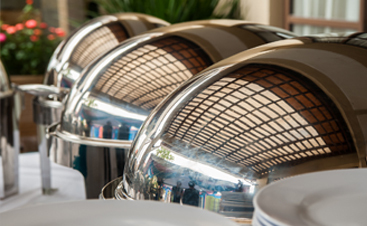 At Thomas’s Catering, we are glad to be the caterer of choice in Livonia and the Detroit metro area. If you’re looking for catering for your Thanksgiving dinner, time is of the essence! Give us a call to reserve your spot today.